I don’t watch Glee, so it wasn’t until The Romantics that Dianna Agron first caught my eye, playing the younger sister of Anna Paquin’s character. The role wasn’t huge, but—paired with the success of Glee—it was enough to solidify her as a face to watch. She was great in Lemony Snicket, but I had no idea who she was—and I hadn’t seen her since. But then she shows up in Sucker Punch, one of the biggest movies of the year, and is now in the Cannes selection Sleeping Beauty, in which she plays a university student who takes a job as the fairy tale princess. Emily Browning is on an upswing. Jennifer Lawrence got her start with the TBS sitcom The Bill Engvall Show, but it wasn’t until she starred in Guillermo Arriaga’s The Burning Plain that many recognized her as a face to watch. I had the pleasure of interviewing Arriaga about his directorial debut. He said that despite several weeks left in casting, he chose Lawrence for the part almost immediately—because she was that good. A couple of years later, she starred in Winter’s Bone and really made a name for herself with an Oscar nomination. She’s recently made headlines again upon being cast as Katniss Everdeen in the much-anticipated The Hunger Games (2012). 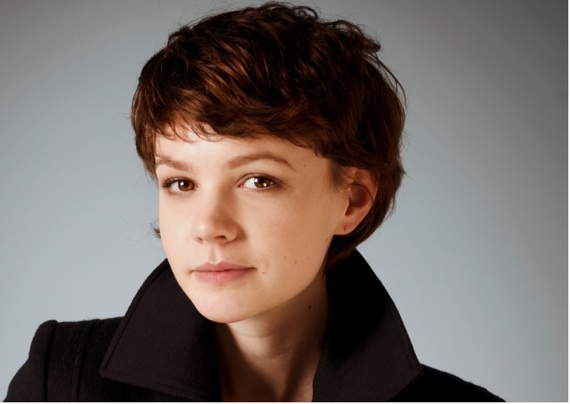 Carey Mulligan broke out in An Education with an Oscar-nominated performance, but she emerged onto the scene with Pride & Prejudice (2005). In that film, she played second fiddle to Keira Knightley. It wasn’t long before she skyrocketed into the mainstream with films like Brothers (2009) and Public Enemies (2009). And then in Never Let Me Go, Keira Knightley played second fiddle to her. Emma Roberts made a name for herself as a Nickelodeon favorite, but she managed to do what many of her peers couldn’t—break into the mainstream. Now, with starring roles in the latest in the Scream franchise and the Garry Marshall ensemble rom-com Valentine’s Day (2010), Roberts is making a name for herself with an entirely new audience. And with parts in the art house flicks It’s Kind of a Funny Story (2010) and the soon-to-be-released The Art of Getting By (2011), she’s earning some street cred, too. A. Ma. Zing. That’s all there is to say about Saoirse Ronan. In just her very early teens, Ronan came out of nowhere to star opposite Keira Knightley in Joe Wright’s Atonement—and with very little film experience, she stole every scene she was in, earning her a Best Supporting Actress Oscar nomination at the age of 13, making her one of the youngest ever to earn the honor. In that film, she was one of three actresses to play the same character, and her performance was the most memorable (and one of those other actresses was screen veteran Vanessa Redgrave). Since then, she’s been burning up the screen in The Lovely Bones, Hanna, and Peter Weir’s The Way Back (2010). At such a young age and with limited experience, Ronan has proven herself as one of the finest actresses of her generation. In due time, she will turn that Oscar nomination into an Oscar win. I said it here, folks. With several TV show appearances under her belt, Emma Stone debuted on the big screen in 2007’s Superbad. Despite the success of that film, I somehow managed to forget her. She took a leading role in the indie comedy Easy A and earned a Golden Globe nomination in the process. She turned heads on the red carpet and will continue to do so as she stars in several upcoming films, including next year’s The Amazing Spider-Man (2012). Evan Rachel Wood has actually been around for a while, but over the last couple of years, she’s been coming into her own as an adult actress, taking on several challenging roles and constantly pushing herself. By the age of 23, she’s already worked with notable filmmakers Catherine Hardwicke, Julie Taymor, Darren Aronofsky, Woody Allen, Robert Redford, and Todd Haynes. I expect her to continue making splashes on the silver screen. Previous PostFilm Society of Lincoln Center Launches New Film CenterNext PostApocalypse Now Intro. I had to triple-take at True Blood’s vampire Queen Sophie-Anne. I mean, she reminded me of Evan Rachel Wood, but surely the thousands-year-old monarch was played by someone at least 30. Incredible. She stole even the short scene at the end of season 3 where . . . well, no spoilers. But holy $#*+ . . .